Ashutosh Pednekar, racketlon and gold medals | Make Time For Sports. You’re aware of decathlons, pentathlons and triathlons. But what do you know of racketlon? Racketlon is a combination sport where you play four racket sports in sequence from the lightest paddle to the heaviest: table tennis, badminton, squash and tennis. A match consists of four sets running to 21 points in each sport. A two point margin is needed to secure a set. Each player serves two points at a time from each side of the court—except in ping-pong. The winner is the player who secures the most points—in total. “The fact that in each individual sport a mediocre player can challenge a top player – on equal terms! The guy may even be on the world ranking in one of the sports – as long as the outcome of the overall match is unclear that set will still make up an interesting game! And this has significant implications for the tactical aspects of the game; It is one thing to play well against a player that is your equal but it is an entirely different matter to deliver a top performance against someone who is far below (or above) your own standard. 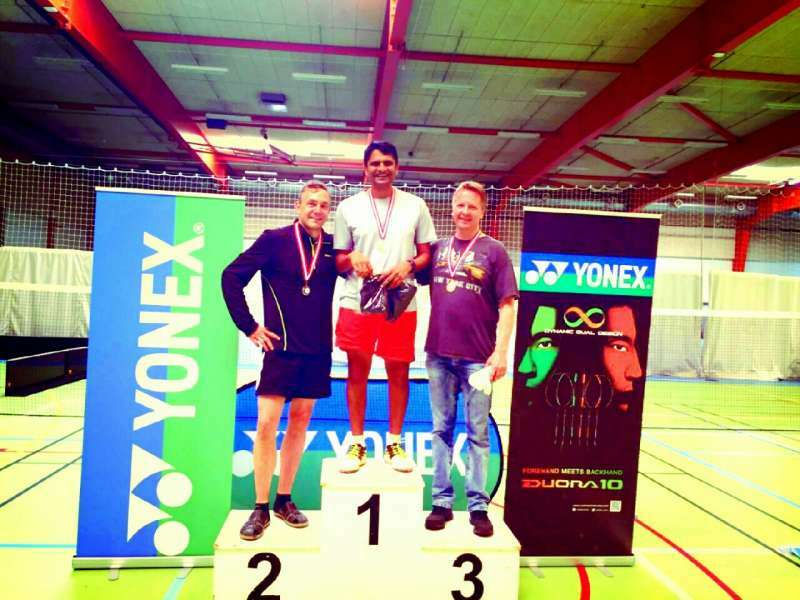 India has a champion navy officer, Ashutosh Avinash Pednekar, who won medals in the over 45 and men’s amateur category at the Nordic Racket Games held at Vejen, Denmark on May 28 and 29 and at the Super World Tour – King of Rackets tournament held at Oudenaarde, Belgium from June 3 to 5. He won gold at Denmark in both categories and gold and silver in Belgium. The Commodore is looking forward to being the first Indian to win gold at the World Racketlon Championships scheduled later this year in November at Germany. Pednekar was introduced to the sport by a fellow squash player Abhinav. Ashutosh was already a keen squash and badminton player. Can Ashutosh deliver on his promise of gold at the World Championships? Go well, Ashutosh, Lone Ranger of Indian Racketlon! « Lionel Messi retires from international soccer: Will he return?